Covering topics that include energy storage, renewable energy integration, transmission planning and operations, defense energy, cybersecurity and more, Sandia's quarterly Grid Modernization Program Newsletter features research highlights, upcoming events, technical achievements, and new publications and patents. News stories are also available on Sandia's Grid Modernization website. Enjoy! A Sandia-led project funded by the Department of Energy's (DOE) Grid Modernization Initiative as part of the Grid Modernization Laboratory Consortium (GMLC) has resulted in a multifaceted approach for utilities to better integrate distributed energy resources using modeling tools, advanced control strategies, and improvements to weather forecasting. This comprehensive approach was developed to meet Vermont's goal of 90% renewable energy penetration by 2050 but can be applied to utilities across the nation. Learn more. A 100kW/500kWh advanced vanadium energy storage system will be installed later this year at the Hawai‘i Ocean Science and Technology Park (HOST Park) administered by Natural Energy Laboratory of Hawai'i Authority. Sandia will develop a test plan for the system, evaluate test results, and analyze how a flow battery performs in an island climate and on an island grid. Learn more. Quasi-static time-series (QSTS) simulations can realistically model and analyze the impact of integrating more distributed energy resources into the grid, but it can take conventional computers days to process the simulations. Sandia's ongoing research to improve the speed of QSTS has resulted in a new report that addresses six challenges in reducing computational time. These include the number of power flows to solve, circuit complexity, time dependence between time steps, multiple valid power flow solutions, controllable element interactions, and extensive accurate simulation analysis. In an effort to hinder adversaries from performing cyber reconnaissance on energy delivery system networks, Sandia has successfully interoperated its technology with Schweitzer Engineering Laboratories (SEL’s) commercial Software-Defined Network (SDN) Switch. A test performed in June demonstrated that Sandia’s machine learning and moving target defense algorithms can securely communicate with the SEL-2740S—a switch designed for harsh environments commonly found in the energy and utility sectors. The tests showed that Sandia’s cyber defense solution can randomize IP addresses and application port numbers. Additionally, Sandia has demonstrated the ability to quickly classify control system traffic as normal or abnormal within SEL’s laboratory environment using an ensemble of machine learning algorithms. Next, this technology will be tested and evaluated within an operational setting. This project is funded by the DOE Office of Electricity Delivery and Energy Reliability, and additional partners include Lawrence Livermore National Laboratory, Washington Gas Energy Systems, Ft. Belvoir, Chevron, and Grimm. Abraham Ellis, manager of Sandia’s Photovoltaic and Distributed Systems Integration Department, testified June 10th on microgrid technologies before the Senate Energy and Natural Resources Committee at a field hearing in Cordova, Alaska. During the hearing, Ellis provided research and development perspectives on microgrids and hybrid systems. Sandia is currently collaborating with the Cordova Electric Cooperative and the Alaska Center for Energy and Power to investigate the feasibility of using energy storage to reduce diesel fuel consumption and make optimal use of existing hydro generation. Sandia is also involved in the Alaska Microgrid Partnership, a GMLC project led by the National Renewable Energy Laboratory. The IEEE Energy Storage and Stationary Battery Committee (ESSB) conducted an Energy Storage Tutorial as part of its ESSB General Meeting at the Chattanooga Downtown Marriott on Thursday, June 15. 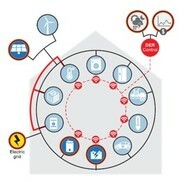 The Tutorial provided insight into applications, technologies, and issues with interconnectivity to the grid. Babu Chalamala, manager of Energy Storage Technologies and Systems, presented "The Energy Storage Evolution" and discussed other technologies during the "Major Battery Technologies for Energy Storage" panel. Ray Byrne, distinguished member of technical staff, presented "Major Application Areas for Energy Storage." If you are interested in participating on the committee, visit the contact page. The DOE Federal Energy Regulatory Commission held a technical conference in Washington, DC June 26-28 to enhance operational efficiency in jurisdictional markets by encouraging public utilities to consider the deployment of new modeling software. Researchers from Sandia joined other national laboratories, universities, Independent System Operators, and industry to discuss ways of improving efficiency in the use of computational methods and identifying ways in which the operation of utility assets can be optimized for the benefit of all public utility customers. Sandia’s solutions addressed AC optimal power flow, mixed integer non-linear programming for unit commitment, and wind generation scenarios for stochastic unit commitment. On May 10 and 11, Sandia National Laboratories and George Mason University hosted the 2017 Frontiers in Resilience Symposium in Arlington, VA. The symposium brought together more than 100 international thought leaders, practitioners, and researchers from academia, government agencies, and the private sector. Symposium participants laid out the unique challenges that the resilience community faces as it tries to address resilience issues for critical systems such as the power grid, communities, cyber networks, and other critical infrastructure. Participants also explored opportunities to develop solutions through a multidisciplinary approach that integrates science and technology, policy and governance, and economics and finance perspectives. Sandia and George Mason will jointly release a white paper in August that describes findings and recommendations from the symposium. The 2nd Sandia-EPRI Secure and Resilient Microgrid Design Summit was co-located with Asia Pacific Resilient Innovation Summit and Expo (APRISE) 2017 and the Defense Energy Technology Challenge (DETC) July 19-20 at the beautiful Hale Koa Hotel on Fort DeRussy Armed Forces Recreation Center, Waikiki, Honolulu, HI. The summit focused on planning, designing, justifying, and implementing secure and resilient microgrid designs. Several national laboratories were invited and participated along with government agencies and utilities. Sandia participated on the "DOE Labs Perspectives on Microgrid Design and R&D Needs" panel, presented the "Automated Hardware-in-the-loop Microgrid Validation Platform" innovation during the "DETC II: Battlefield, Buildings, and Bases" session, served as a review panelist for the "DETC IV: Resilience and Security" session, and chaired three different panel sessions. The 10th Biennial Electrical Energy Storage Applications and Technologies (EESAT) Conference will be held October 11-13, 2017 at the Westin Hotel—Gaslamp District, in San Diego, CA. Sponsorship provides numerous benefits, including increased visibility and networking opportunities. This year, sponsorship levels range from partner ($2,500) to platinum ($20,000). If you are interested in sponsoring this year's event, email snl_energy_storage@sandia.gov by September 11. The Sterling Municipal Light Department (SMLD) Energy Storage Project has been selected as one of eight finalists for the 5th Annual Energy Storage North America (ESNA) Innovation Awards. The projects were selected based on their outstanding achievements in either centralized or distributed storage and their impact on the energy storage ecosystem, services supplied to customers and the grid, and unique technology application. Sandia contributed to the analysis, request for proposal, and deployment of this 2 MW, 3.9MWh GSS® grid energy storage system. The winner will be announced in August at ESNA 2017. Two Sandia papers were selected to be presented as Best Conference Papers submitted to the 2017 IEEE Power & Energy Society General Meeting July 16-20 in Chicago, IL. The first was authored by Mohamed Elkhatib and Abraham Ellis, titled "Communication-assisted Impedance-based Microgrid Protection Scheme," and presented during the session on Microgrids, Renewables, and Distributed Energy Resources. The second was authored by Felipe Wilches-Bernal, Brian Pierre, Ryan Elliott, David Schoenwald, Raymond Byrne, Jason Neely, and Daniel Trudnowski, titled “Time Delay Definitions and Characterization in the Pacific DC Intertie Wide Area Damping Controller," and presented during the session on Power System Stability, Control, and Protection. Sandia provided a total of 16 technical presentations. 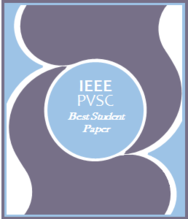 Xiaochen Zhang of Georgia Tech has been awarded the IEEE PVSC-44 Area 10 Best Student Paper Award for a paper written in collaboration with Sandia Labs on fast quasi-static time-series simulation. The award recognizes outstanding work by students in each technical area, in this case the Power Electronics and Grid Integration category. The conference occurred June 25-30 in Washington, DC, and Sandia presented a total of 18 papers on PV Grid Integration. Dvorkin, Y., Carramolina, R., Yishen, W., Bolun, X., Kirschen, D., Pandzic, H., Watson, J.P., Silva-Monroy, C.A. Co-planning of Investments in Transmission and Merchant Energy Storage, IEEE Transactions on Power Systems, Volume PP, Issue 99, May 2017. Wilches-Bernal, F., Concepcion, R., Neely, J.C., Byrne, R.H., Ellis, A. Communication Enabled – Fast Acting Imbalance Reserve (CE-FAIR), IEEE Transactions on Power Systems, Volume: PP, Issue: 99, June 2017. C. B. Jones and C. Carter, Trusted Interconnections between a Centralized Controller and Commercial Building HVAC Systems for Reliable Demand Response, IEEE Access Journal, Volume 5, pp 11063-11073, June 2017. Lave, M., Broderick, R.J., Reno, M.J. Solar Variability Zones: Satellite-Derived Zones that Represent High-Frequency Ground Variability, Solar Energy, Volume 151, July 2017, pp 119-128.